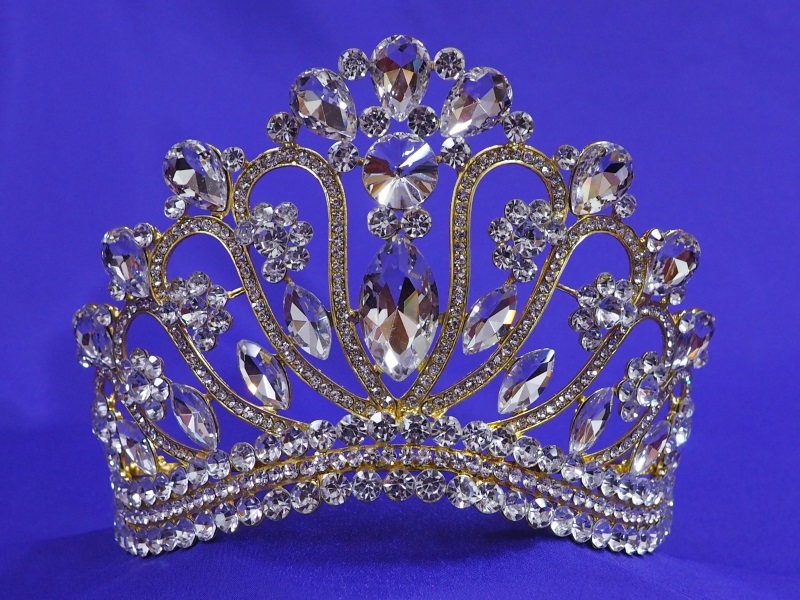 This extravagant tiara screams for attention and gets it! Eleven huge teardrop rhinestones above nine even larger marquis cut stones make this tiara one for the record books. A contoured triple row base of round cut stone and rich gold finish complete this show-stopper!